Mike Siegel is currently listing 440 Third Street, an 8 story single tenant office building, owned by Capital One Bank, for sale. It is located in the heart of downtown Baton Rouge, Louisiana. 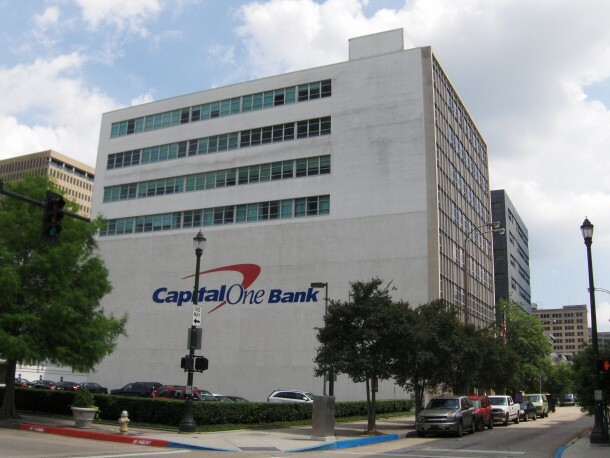 Capital One and Capital One’s predecessor banks, have owned and occupied the building continuously since the building’s construction in the late 1950’s. Capital One recently vacated the upper floors of the building and will be vacating the ground floor retail bank early in 2013. The 111,197 sf building also includes surface parking for a minimum of 45 cars. There are also six (6) drive through banking lanes which can be converted to 25—30 additional surface spaces. The subject building and site is being marketed for sale as a “vacant” building with a projected closing date of no later than the 1st quarter of 2013. the property is suitable to be used as a single tenant or multi-tenant office building or it can be converted to an alternative use, most likely a multi-family residential building. Based on the buildings age,over 50 years old, the building will qualify for historic tax credits, both State and Federal. The building is extremely well located within 2 blocks of several major Class A office buildings, catty corner from one of the state’s major parking garages, and 2 blocks from several major State office buildings. While Capital One does not have a specific asking price, Capital One is a motivated seller and expects to sell the building on a fee simple basis on a market based, reasonable square footage basis. Find more information about the listing call Mike Siegel at 504.581.50005 or click here to view the flyer.